I read cookbooks like other people read novels: from start to finish and with endless excitement. But I rarely cook with a recipe. 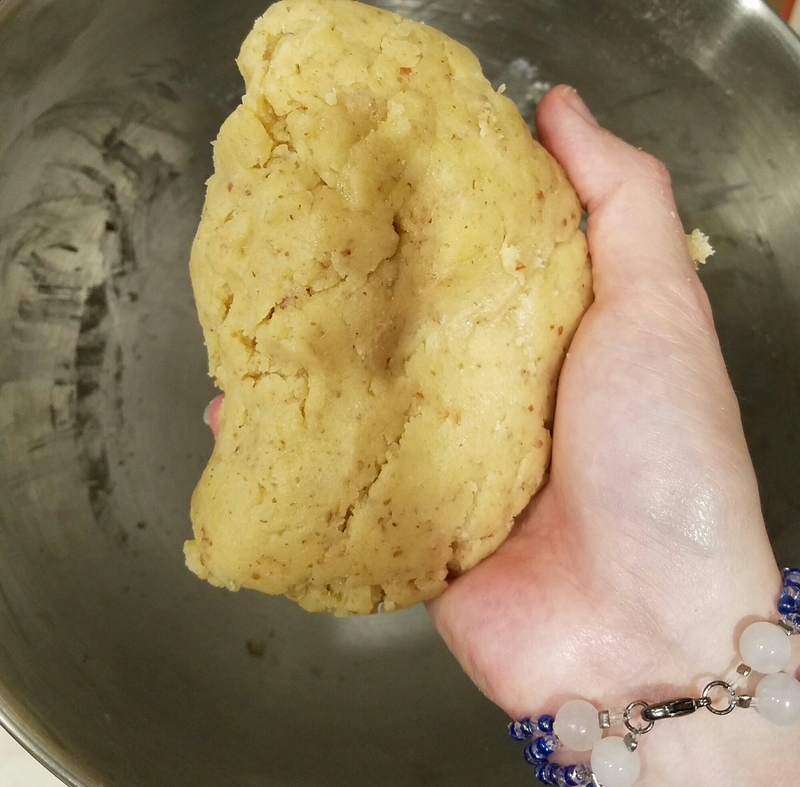 I get some inspiration, and then do whatever my brain comes up with – and that’s more fun because you never know if it turns out like you imagined or if you end up with an indefinable amorphous mass of goo and the realization that you should have never picked up a whisk in the first place. 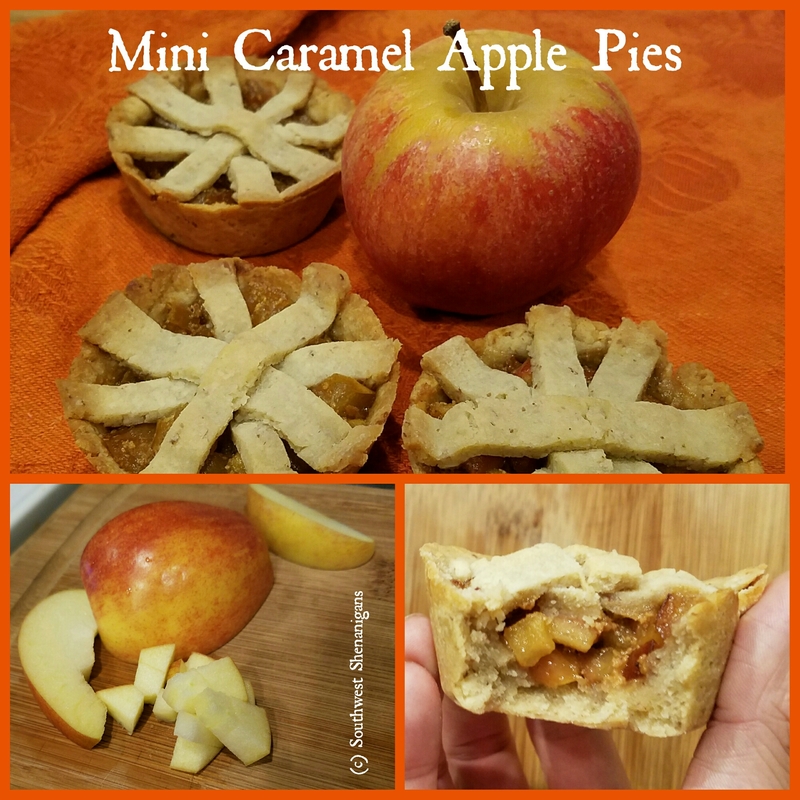 Well, today my brain did not fail me and I came up with a successful recipe for tiny little caramel apple pies with an addicting crusty nutty crust! 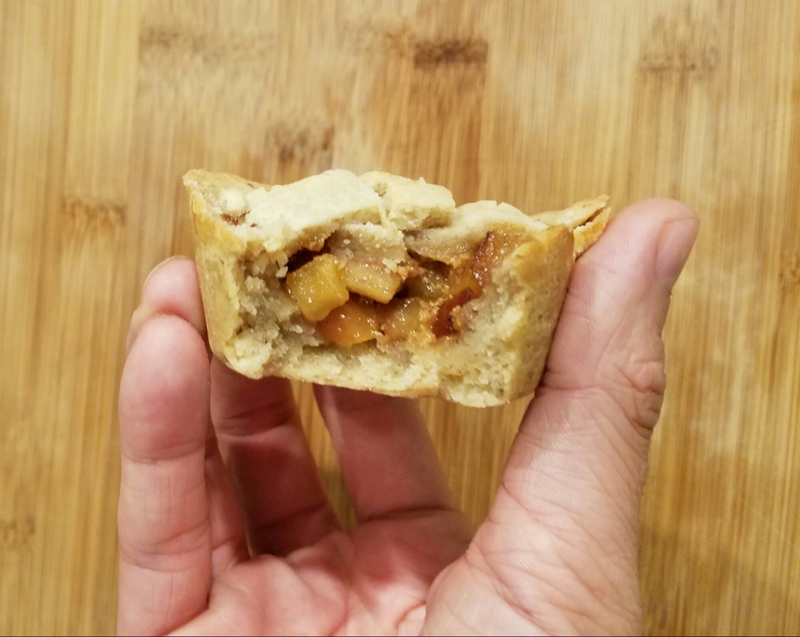 The apple filling has such a delicious caramel flavor that you can achieve without the fuzz of making “real” caramel because we finagle a little bit here and use the caramel flavor of the brown sugar to our advantage. It tastes and looks like fall and today was a real fall day so it just fit. By the way, fall in Arizona means you can go outside without being fried crispy after two minutes, the “gentle breeze and falling leaves” season starts somewhat in december…. Anyway, the pies! 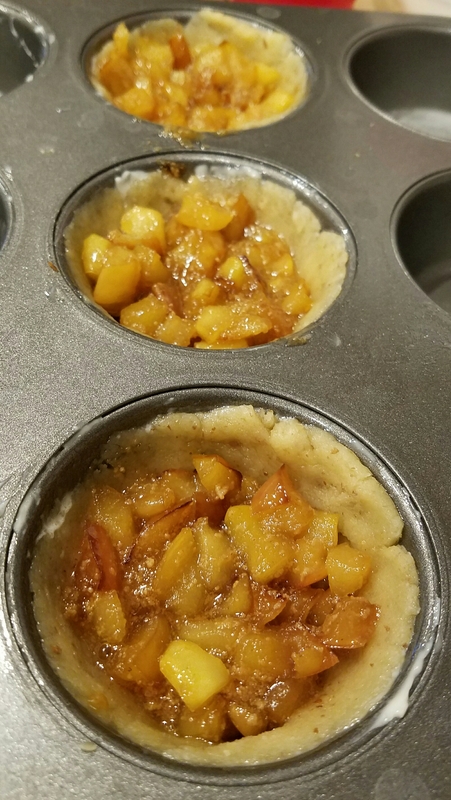 My recipe makes 1 regular muffin pan, so you’ll get 12 cute little pies. 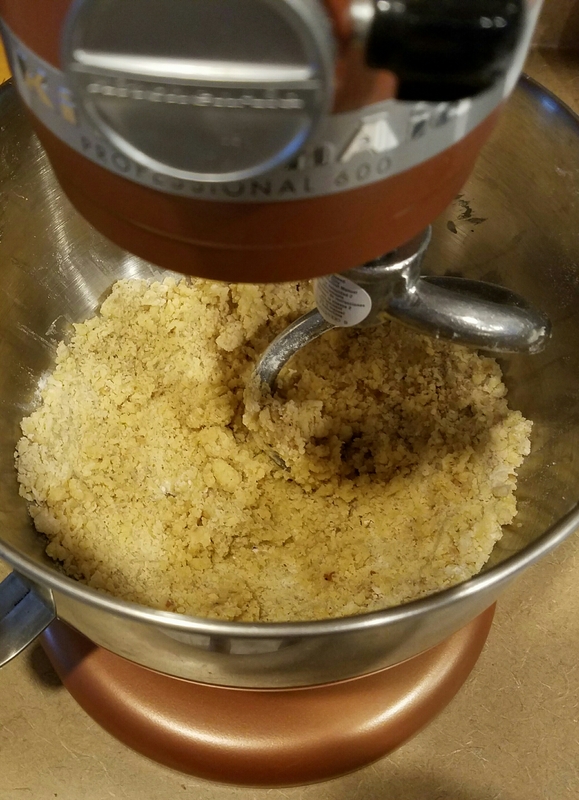 For the crust ground pecans in a blender (or use any other nut that is grounded already. Hazelnuts would also be perfect!). 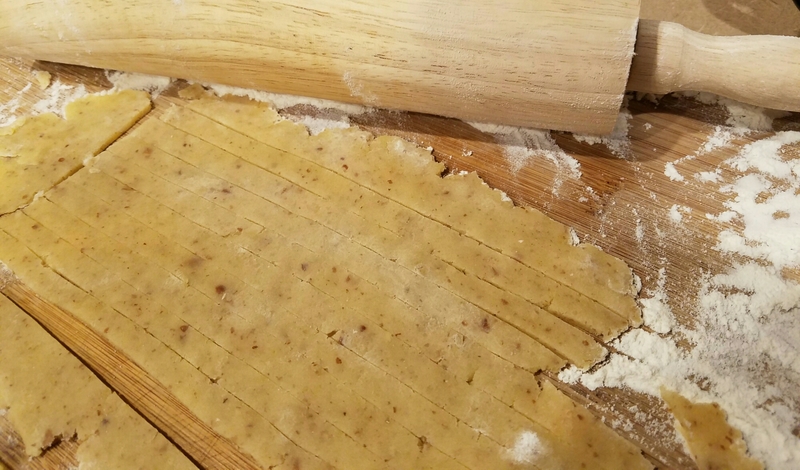 Mix soft butter, egg and sugar thoroughly, add ground pecans and flour and knead into a dough. 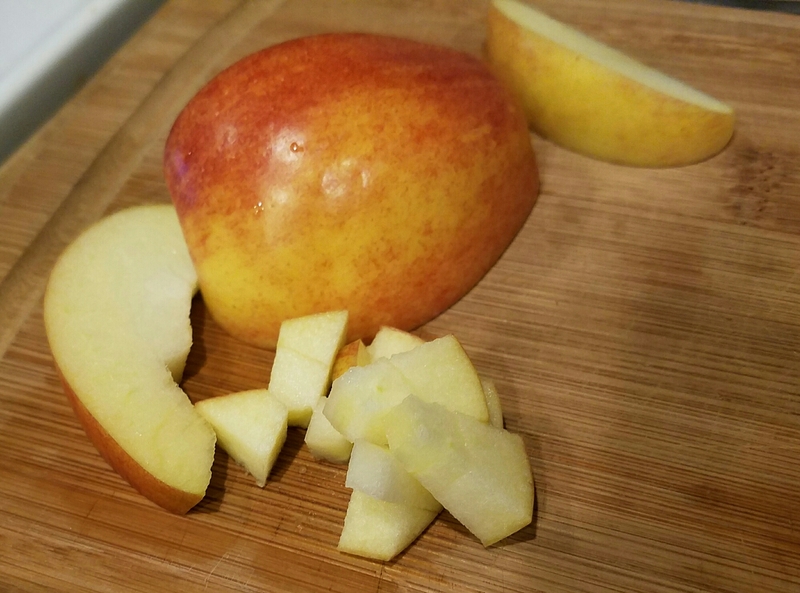 Form a ball and let it rest in the fridge for 20 min. 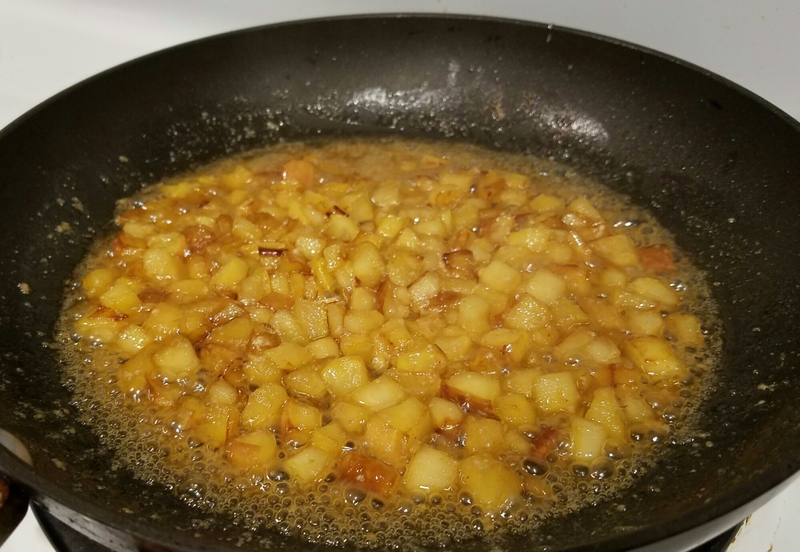 Finely dice the apples and sautée in butter until soft, about 5 minutes. Add the brown sugar and let caramelize, then add cream and stir well, let reduce on low heat for 5 minutes. Butter the muffin pan and press in 3/4 of the dough, spread it up the sides of each tin to create an even crust. Spoon in the filling. I only made 6 pies, hence the empty tins. 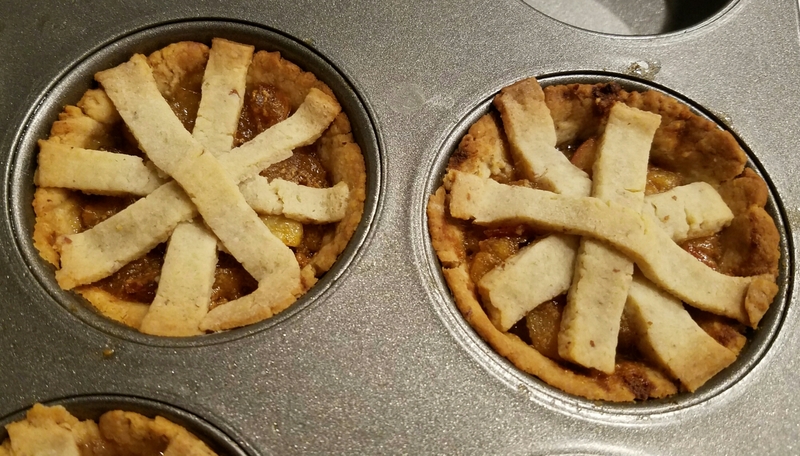 With the remaining dough create a decoration to cover the pies – I can’t make a lattice for the life of me so I made a simple star like design. 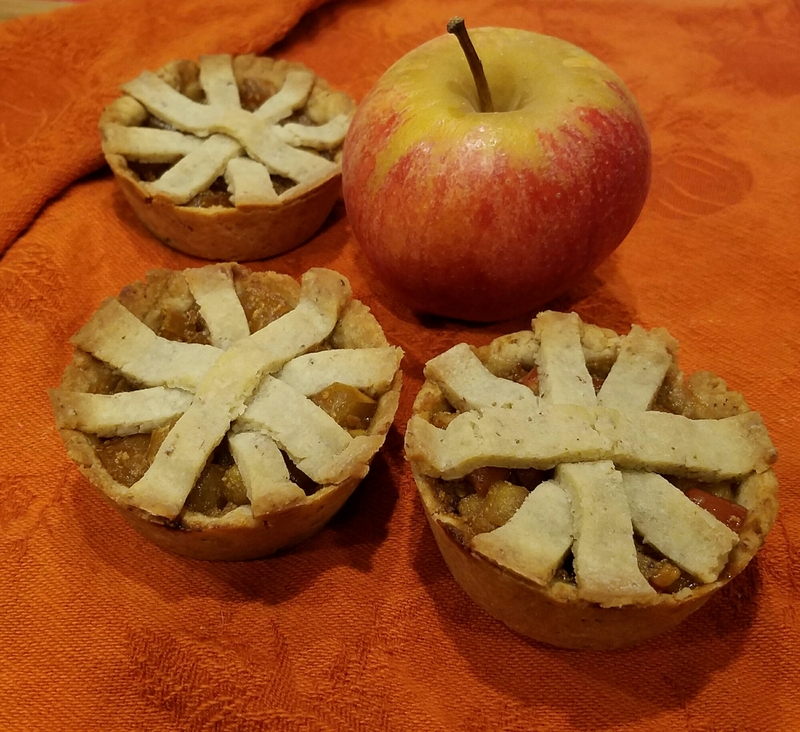 You can also just use a cookie cutter to make a cute shape and top the pies with that. We don’t own a single cookie cutter – nothing is cookie cutter in this house, tehehe… pun intended. Bake at 350°F for about 25 minutes. No, these aren’t my hands. It’s my husband who grabbed the first pie the second it was cool enough to eat. He approved it – win!!! Music just was better back then!